Erdoğan began his ascent to power as a social reformer in opposition to the power elite; he was a rabble-rouser for popular Islam and social welfare. Once he takes political power he enriches his family and the business elite and purges adversaries and rivals. With political power and economic connections, he amasses personal wealth through illicit business transactions. With political power and personal wealth, he seeks prestige andstatus among the Western elites by serving imperial interests: He shoots down a Russian military jet over Syrian territory and thereby threatens hundreds of Turkish businesses and loses a major source of personal enrichment. When the Russians threaten to cut off energy exports to Turkey, Erdoğan’s opponents suggest he heat his own palace and villas with cow dung this winter. 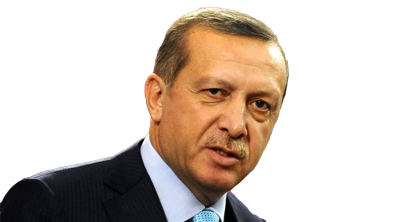 Turkish President Recep Tayyip Erdoğan has a long and ignoble history of betraying political associates, trading partners and military allies; of pledging friendship and then bombing his ‘friends’ and murdering citizens; of negotiating ‘in good faith’ and then killing rivals; of playing democrat then behaving like an ordinary demagogic dictator. Erdoğan appeals to the plebian and austere values of the Anatolian provincial petty bourgeoisie, while building the largest luxurious presidential palace in the world – fit for a 21st century Pasha. He repeatedly pronounces his fealty to the ‘Turkish Nation’, while he robs the Turkish treasury by repeatedly accepting bribes and pay-offs from building contractors who then double charge for publically-funded projects. More recently, Erdogan claims to oppose terrorism and fight ISIS, while the major Turkish and regional newspapers, journalists and most domestic observers document the massive flow of illegal arms across the Turkish-Syrian border to ISIS terrorists. Erdoğan supports ISIS by bombing the Syrian Kurdish fighters who resist the jihadi mercenaries; by shooting down a Russian military jet defending the Damascus government against the terrorists; by smuggling and selling oil which ISIS had stolen from Iraq and Syria; by providing medical assistance to wounded ISIS fighters; and by training and arming ISIS terrorists in Turkish bases. There is a reciprocal relationship: Erdoğan uses ISIS operatives to terrorize his own domestic opposition, including terror bombing a gathering of Kurdish ‘socialist youth’ in the town of Suruç on July 20, 2015, which killed 33 and the massive bombing in Ankara on October 10 of a ‘peace and justice’ march, which killed over 100, targeting trade unionists, leaders of professional associations, community activists and members of a democratic Kurdish electoral party and wounded many hundreds. During the legislative election of 2015 ISIS terrorists and thugs from Erdoğan’s Justice and Development Party (AKP) attacked the offices, meetings and candidates of the opposition parties, especially of the Kurdish People’s Democratic Party (HDP), to ensure that Erdoğan secured a super-majority. (1) To attack and destroy secular Kurdish forces resisting ISIS in Syria and Iraq, thus preventing the formation of an independent Kurdish state on the Turkish border. (2) To attack and destroy Syria’s independent Baathist government under Bashar Al-Assad, dismantle the multicultural secular state apparatus and install a Sunni Islamist client in Damascus subordinate to Erdoğan’s AKP. (3) To attack and terrorize the Turkish domestic opposition, including the broad-based Kurdish HDP, and the leftist trade union confederation (DISK). Erdoğan has a decade-long strategic alliance with the militant Wahhabi terrorists who now make up ISIS. He intends to ‘remake’ the map of the Middle East to serve his own expansionist ambitions. In part this explains why Erdoğan has provided large-scale arms and material to the terrorists, trained thousands of mercenaries and provided medical aid to wounded ISIS fighters. It also explains why Erdoğan took the unprecedented and extremely provocative step of shooting down a Russian military jet over Syrian territory, which had been bombing Erdoğan’s ISIS allies. Russian and Syrian Army successes against ISIS have threatened his ambitions. Erdoğan’s transformation from ‘Muslim democrat’ to bloody authoritarian Islamist ruler with pretensions of becoming the dominant Middle Eastern Pasha has to be seen in light of his rise to power over the past 40 years. Erdoğan, early on, showed his affinity for extremist Islamist politics. In the 1970’s he was head of the youth branch of theIslamist Salvation Party (MSP), a virulent anti-communist, anti-secular party committed to converting Turkey, a huge multi-ethnic secular state, into a theocratic regime (along the lines of contemporary ISIS). After the military coup of 1980 the MSP was dissolved and reappeared as the Welfare Party. Erdoğan became a leader of the new (re-named) Islamist party. Erdoğan and the Welfare Party exploited Turkish mass discontent with the corrupt and authoritarian military. The Welfare Party embraced a populist social welfare program with Islamist religious undertones in order to build a formidable grassroots organization in the working class neighborhoods in Istanbul. Erdoğan was elected mayor of Turkey’s largest city in 1994. As Mayor, Erdoğan over-reached his power by preaching militant Islamism and was convicted in 1998 of sedition against the secular state. He served 4 months of a 10-month sentence. Henceforth he changed tactics: His Islamist fanaticism wasdisguised. He changed the party name from Welfare to the modern sounding Justice and Development Party (AKP). Erdoğan then launched a series of political maneuvers, in which he cleverly manipulated adversaries to gain power and then… stabbed each of them in the back. Despite his earlier conviction for sedition against the secular state, the ‘reformed’ Erdoğan allied with the Kemalist, secularRepublican Peoples Party (CHP) to overturn the military’s ban on his participation in politics in 2002. He was elected Prime Minister in 2003. After the AKP won the general election it cut its ties with the CHP. Erdoğan was re-elected Prime Minister in 2007 and 2011. Erdoğan allied with the pro-US Islamist leader Fethullah Gülen’sHizmet or Cemaat Movement, which was influential within the judicial system, police and army. Together they launched a purge against secular military and judicial officials, journalists and media critics. The Erdoğan – Gülenist state apparatus arrested and jailed 300 secular military officers, judges and journalists and replaced them with Erdoğan and Gülen loyalists – all Islamists. Dubbed “Operation Sledgehammer” the entire purge was based on fabricated charges of treason and conspiracy. Yet it was described by the Western media in terms that flattered Erdoğan’s democratic credentials, calling it an ‘effort to consolidate democracy’against the military. It had nothing to do with democracy: The purge consolidated Erdoğan’s personal power and allowed him to pursue policies that were more overtly neo-liberal and Islamist. The purge of the judiciary further allowed Erdoğan to enrich crony capitalists and family members. Erdoğan then embraced an IMF-designed ‘stabilization and recovery’ program, which reduced wages, salaries and pensions while privatizing public sector enterprises and activities. This attracted a large inflow of capital as foreign investors and cronies snapped up the goodies at bargain prices. Most emblematic of this ‘free-for-all cronies’ approach to the economy was the Soma coal mine disaster in May 2014 when over 300 miners were killed in a previously state-owned mine, which had suffered a breakdown of worker safety conditions after it had been privatized to an Erdoğan-crony. Despite local and international outrage, Recep ignored the scandal and unleashed police on the demonstrating miners. Erdoğan’s combination of Islam with brutal neo-liberalism attracted support from Brussels, Wall Street and the City of London. Large inflows of speculative foreign capital temporarily inflated Turkey’s GNP and Erdoğan’s wealth and ego! In the beginning of his rule Erdoğan’s concessions, tax incentives, government contracts to big capital were broadly distributed to most sectors, but especially to his crony capitalists within the construction and real estate sectors. As the capitalist boom continued and his power increased, Erdoğan became more obsessed with his role as the savior of Turkey. By 2010, a serious difference developed between Erdoğan and his Gülenist partners over the division of power. Erdoğan moved rapidly and brutally. He launched another massive purge of suspected ‘Gülenist officials’. He arrested, fired, jailed and relocated Gülen sympathizers among judges, police and civil servants despite the fact that these were officials who had served him well during the earlier purge of the secular military. Erdoğan is not willing to share power with any other party, movement or group. Pasha Recep wanted to monopolize power. He has attacked critical newspapers, businesses and conglomerates claiming these were ‘Gülen controlled’. Erdoğan ensured that only capitalists completely loyal to him would receive regime patronage. In other words, he strengthened the size, strength and importance of crony capitalists: especially in the real estate and construction sector. Turkey, under Erdoğan’s absolute power, has seen a geometric increase in corruption and mindless ‘development projects’, leading to the degradation and usurpation of public spaces. His arbitrary and destructive policies have provoked sustained civil society protests, especially in the center of Istanbul – during the Gezi Park demonstrations, which began in May 2013. In response to civil society demonstrations, Erdoğan shed all pretensions, ripping off his ‘modern democratic’ mask and brutally repressing the peaceful protestors in the heart of Istanbul– resulting in 22 deaths, hundreds wounded and more arrested and sentenced to long jail term. Erdoğan subsequently targeted liberal critics and business leaders, who had criticized his brutal use of force. 2013, the year of the Gezi Park Movement, was a turning point – Erdoğan and family members were implicated in a $100 million-dollar corruption scandal while liberal critics of the regime were purged. Facing opposition from sectors of the elite as well as popular classes, Erdoğan became more rabidly ‘Islamist’, chauvinistic and megalomaniacal – ‘Neo-Ottoman’. In short order, he re-launched his attack on the Turkish Kurds and increased his support to the Islamist terrorists in Syria, including what would become ISIS. These policies were designed to complement his ongoing war against the secular Kurds in Iraq and Syria. From the beginning of his rule, Erdoğan cultivated the ‘best of relations’ with Syria’s Bashar Al-Assad and Russian President Vladimir Putin. He signed dozens of trade agreements with Damascus and Moscow. Putin was welcomed to Ankara and Erdoğan to Moscow where they signed billion-dollar energy deals and mutual co-operative agreements. Up to 3 million Russian tourists visited Turkish resorts each year, a bonanza for one of Turkey’s major industries. Erdoğan’s regime was ebullient, effusive, embracing Moscow and Damascus while systematically preparing the ground for more backstabbing! By 2011, Erdogan had been deeply involved in preparing the ground for what would become the bloody Islamist uprising in Syria. Early on, hundreds of armed foreign Islamist terrorists crossed the Turkish border into Syria. Their presence overwhelmed local Syrian dissidents. Armed Islamists seized villages and towns brutally purging them of Christians, Kurds, Alawites and secular Syrians. They took over the oil fields. From one day to the next, Erdoğan was transformed from loving friend to deadly foe of neighboring Syria demanding ‘regime change’ through terrorist sectarian violence. 1)The alliance serves to prevent the establishment of an autonomous Kurdish enclave on the Syrian-Turkish border in the event of a Damascus defeat, which Erdoğan fears would then link armed Syrian Kurds with the huge disaffected Kurdish population in southeastern Turkey and lead to the formation of an autonomous secular Kurdish state. 2)Erdoğan’s alliance with jihadis in Syria has served Ankara’s ambition to impose a puppet Sunni-Islamist regime in Damascus. 3)The ISIS regime controlling the Syrian and Iraqi oil fields provides Turkey with a source of cheap fuel and lucrative profits for the regime. Recep’s son, Necmettin Bilal Erdoğan owns and operates the BMZ Group which buys the contraband Syrian and Iraqi oil in Turkey and sells it overseas (especially to Israel) earning nearly a billion dollars a year for ‘the family’. It is not surprise that the Erdoğan family directly financed ISIS, which uses the cash from contraband oil, pillaged antiquities and ‘tribute’ taxes, to purchase heavy and light arms, military and transport vehicles and communications equipment in Turkey and elsewhere to support its terror campaign in Syria and Iraq. Well-informed Turkish observers believe that Erdoğan’s intelligence officials are directly involved in recruiting ISIS terrorists to operate within Turkey and attack Erdoğan’s internal opposition, especially the Kurdish electoral party HDP and the broad-based Turkish left and trade union movements. Observers claim Turkish intelligence operations had a direct role in the ‘ISIS’ bomb attacks in Suruç and Ankara this year, which killed and maimed hundreds of Erdoğan opponents and civil society activists. Erdoğan and ISIS developed a co-dependent relation, one of mutual manipulation. Each has publically declared their tactical enmity to the other, while busily pursuing joint strategic aims. Ankara uses the pretext of fighting ISIS in order to bomb the Kurds in Syria who are resisting the jihadis. ISIS uses the pretext of opposing the NATO member Turkey in order to cover its massive oil and weapons trade deals with Erdoğan’s family and crony business enterprises. Russia’s highly effective aerial bombing campaign against the jihadi and ISIS terrorist networks in Syria was in response to a formal request for military intervention by the legitimate government of President Bashar Al-Assad. Russia has long-standing ties to the Baathist regime in Damascus. The intervention has threatened to undermine Erdoğan’s regional power ambitions and illicit business operations in Syria. First and foremost, it ended Erdoğan’s plan to annex a large swathe of Northern Syria and call it a ‘no fly zone’. The Turkish-controlled ‘no fly zone’ in Syria would expand Turkish military training bases for ISIS and other jihadi terrorists and secure the transport routes for ISIS oil shipments smuggled out of Iraq and Syria. Unlike the US, which had rarely bombed the strategic Erdoğan-ISIS oil smuggling operations, the Russians destroyed over a thousand oil trucks and numerous ISIS oil depots and logistical centers in the first month of its air campaign. By reducing the flow of smuggled oil, Russia cut off the main source of massive profit for Bilal Erdoğan’s BMZ Company as well as for Turkish arms dealers. Like gangsters, Erdoğan, his family and cronies have been immersed in massive corrupt business activities at home and abroad; he can no longer operate within the context of the larger interests of the Turkish capitalist class with its $40 billion dollar annual trade and investment relations with Russia. Erdoğan’s decision to shoot down a Russian jet in Syrian territory, on November 24, 2015, was largely motivated by his fury at Russia’s successful interruption of the ISIS oil convoys. By protecting his own family interests, Erdoğan stabbed more allies in the back: The Russians, as well as large sections of the Turkish capitalist class! Up until Erdoğan’s act of war against Russia, he had publically embraced Putin as an ally, friend and partner. The two leaders had cordial relations for over a decade. The Turkish military was fully informed about Russian military operations in Syria, including its flight paths. Then suddenly in November 2015 he risked a total rupture in relations and invited retaliation against Turkey from Russia by shooting down a Russian jet. Russia immediately responded by upgrading its most advanced weapons systems to defend its operations and bases in Northern Syria and intensified its bombing of the ISIS – Turkish oil operations. Russia retaliated by imposing visa restrictions and economic sanctions on Turkey, adversely affecting the multi-billion dollar tourist business. Strategic energy deals were terminated. Large-scale Turkish construction contracts were ended. Turkish agricultural exports to Russian markets virtually stopped. Erdoğan’s unilateral actions were clearly against the broad interests of Turkey’s large export sector. From Gezi to Gülen, from one purge to another, Erdoğan, the former ‘poster boy’ of neo-liberal Turkish capital, has become a self-centered despot, acting on behalf of a narrowing circle of corrupt family and crony capitalists. Erdoğan set himself up as a modern day pasha more in the image of the self-indulgent Ibrahim I (the Madman) than the far-seeing Suleyman I (theWise). Once Erdoğan realized the damage that his fit of egomaniac fury against the Russians had provoked abroad and his growing isolation within Turkey, he rushed to NATO on bended knee to beg for support. True to his authoritarian personality, Recep Erdoğan crawls on his knees before his ‘superiors’ (NATO-US) while grabbing the throats of his ‘inferiors’ (the Turkish people)! Erdogan’s road to absolutist power is strewn with indiscriminant purges, terror and deceit; violence against environmental and liberal protestors in Gezi Park and moderate Gülen Islamists; jail sentences and firing of journalists and publishers, military officials and judges; repression of workers and capitalists; terror bombing against activists and democrats; and war against Kurds and Syrians. Erdoğan’s paranoid and greed-driven vision of politics precludes any trust and stable relations. He thinks he is very clever with his combination of charm and broken promises, but he fools nobody. He reignites the war against the Kurds in Turkey and Syria but they retaliate! He attacks Russia and provokes a very costly retaliation so far limited to the Turkish economy. He increases his personal power, but undermines the interests of the Turkish nation and its people. Erdoğan believes he is the rising regional hegemon, indispensable to the West. He blackmails the EU for billions of Euros to control the flood of refugees fleeing violence in Syria and Iraq with his promises to warehouse desperate refugees in Turkish concentration camps. But Europeans must know that their money can never buy trust and loyalty from the Pasha. His oil deals with ISIS are in tatters. Russian bombs ensure that Erdoğan will have to find other sources of illicit profit. Worst of all, Erdoğan’s furious actions have lost markets, allies and domestic support. He faces enemies from all sides – liberal professors, students, big business owners and organized workers in Istanbul; small business people in the tourist trade; construction and oil companies in Ankara; farmers in Anatolia, and, above all, the coal miners in Soma Manis. Who knows under what circumstances Pasha Recep (the ‘Megalomaniac’) will be replaced?